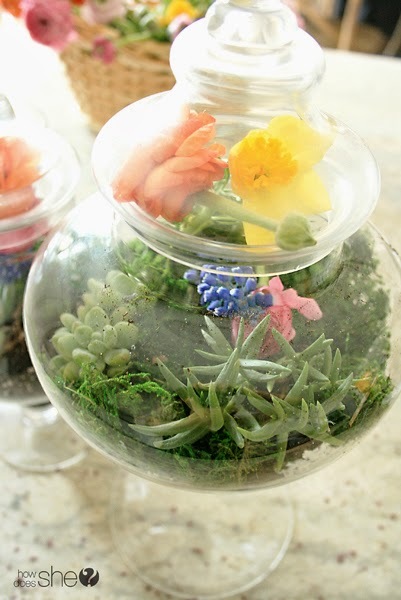 I am over at How Does She today sharing a fun spring arrangement tutorial. 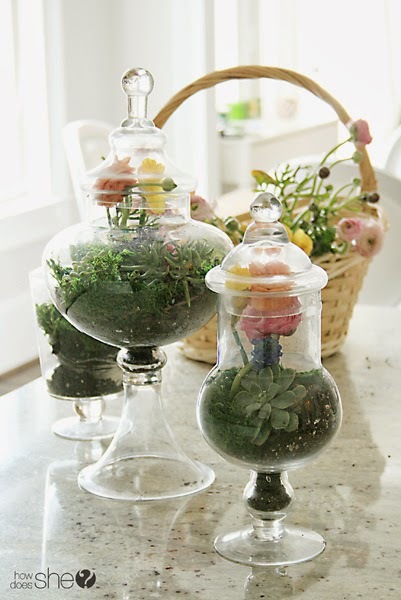 If you have any glass jars laying around the house, head over to How Does She and see how I used empty glass jars to create a floral terrarium. These are so pretty, and we have enjoyed our arrangements for days. It’s like having a flowering garden into your home. 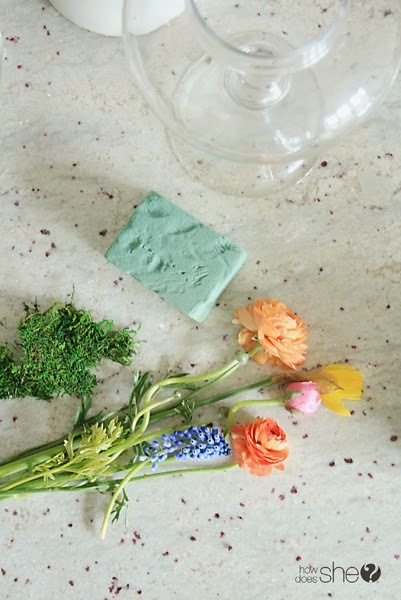 Also, flag this tutorial to pretty up your Easter dinner table with floral and color.